Presented by broadcaster Nihal Arthanayake, and features Manchester’s Hallé Orchestra along with music from a national children’s choir, archive film and a dance piece performed by hundreds. The concert will also feature a range of letters and poems depicting the lives of those affected by the Somme, including a specially commissioned poem read by author and broadcaster Lemn Sissay. The concert is free but you need a ticket. The concert begins with the completion of the Path of the Remembered; a pathway of memories decorated by people from all over the country. This is followed by 270 children from England, Ireland, Scotland and Wales singing soldier’s songs from the First World War, alongside soloists from France and Germany. They will be accompanied by a series of short films showing extracts of the lives of some of the men and women who contributed to the Battle of the Somme. A specially commissioned dance piece choreographed by Lucy Hind and Daniel Watson and performed by hundreds takes place the site. Bringing together professional dancers and volunteers from across the North West, the dance is inspired by the idea behind the Pals Battalions, that volunteers came from each part of society, as friends, colleagues and neighbours to contribute to an effort much larger than any one person. A specially commissioned dance piece choreographed by Lucy Hind and Daniel Watson and performed by hundreds takes place in the site. Bringing together professional dancers and volunteers from across the North West, the dance is inspired by the idea behind the Pals Battalions: that volunteers came from each part of society, as friends, colleagues and neighbours to contribute to an effort much larger than any one person. 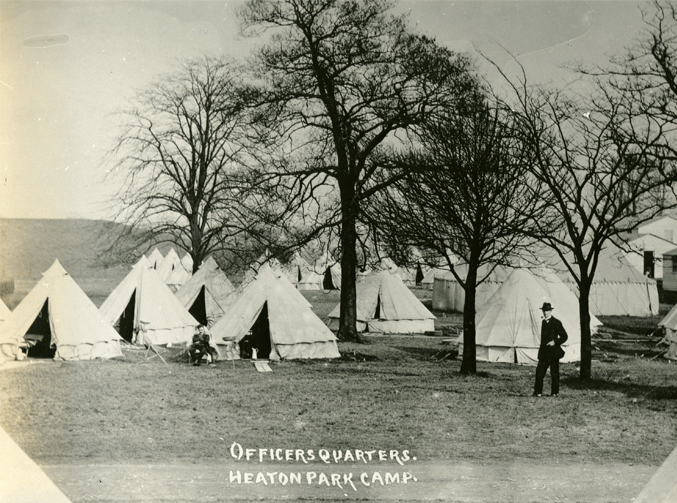 As the training ground for many of those who fought, Heaton Park is the perfect place to commemorate the courage of those who gave their lives at the Somme. Find out more about the park during the First World War. The Experience Field adjacent to the concert site will be open from 4pm to 7pm to concert goers.